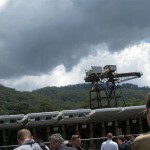 Activists shut down Idemitsu’s Boggabri mine after scaling coal loader (0) December 18, 2013 A group of activists have shut down Idemitsu’s Boggabri coal mine today after scaling a coal loader at the site. 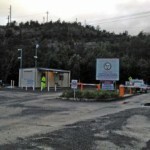 Rio to install new noise monitoring systems at Mt Thorley Warkworth (0) December 18, 2013 Rio Tinto is trialling new ‘cutting edge’ noise monitoring systems at its Hunter Valley coal mines for real time management of noise. 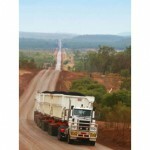 McAleese Resources wins Atlas Iron haulage contract (0) December 18, 2013 McAleese has won a fifth iron ore haulage contract with Atlas Iron at its Mt Webber operations. 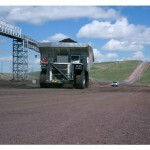 Bradken look to acquire Austin Engineering (857) December 18, 2013 Bradken has made moves to acquire mining equipment manufacturer Austin Engineering. BHP shuts Perseverance, slashes jobs (2) December 17, 2013 Ongoing safety concerns have seen BHP Nickel West shut its accident prone Perseverance nickel mine. 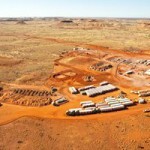 Downer wins Rio Tinto Yandi contract (0) December 17, 2013 Downer EDI has been awarded an $80 million contract for electrical work at Rio Tinto’s Yandicoogina mine. 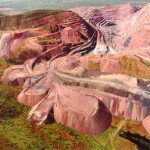 Rio sees Chinese mining machines as close to US in quality (0) December 17, 2013 The rapidly increasing quality of Chinese made mining machines is seeing them threaten US hegemony on site. 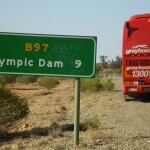 Abbott getting behind Olympic Dam expansion again (0) December 17, 2013 Prime Minister Tony Abbott has reiterated his support for the Olympic Dam expansion. 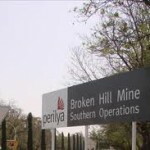 Federal Court rules union miners sacking illegal (0) December 17, 2013 A Federal Court has ruled Peabody’s sacking of three North Goonyella miners due to union activity unlawful. 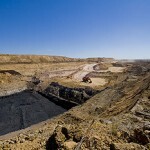 Thiess win massive Curragh coal contract expansion (0) December 17, 2013 Thiess has won a $570 million extension to its contract at the Curragh North coal mine. 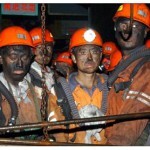 Underground explosion kills 21 Chinese miners (0) December 17, 2013 Twenty one miners have been killed in an underground coal mine explosion in China. 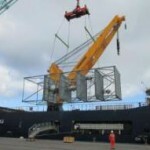 Incitec Pivot to move plant from Port Adelaide site (0) December 16, 2013 Incitec Pivot will stop storing explosive materials at its Port Adelaide site, which the South Australian government has purchased for an undisclosed sum after local safety concerns. 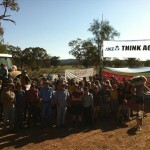 Maules Creek mine protesters arrested (0) December 16, 2013 Three protesters who chained themselves to gates and vehicles to prevent Whitehaven Coal from accessing its Maules Creek mine site have been cut free by police and arrested. 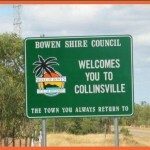 Collinsville locals receive “thanks but no thanks” letters from Glencore: union (0) December 16, 2013 The CFMEU says 75 per cent of Collinsville locals have who reapplied for their jobs with Glencore have been knocked back, leaving community members “devastated”. ERA to work with taskforce to investigate acid leak (0) December 16, 2013 Energy Resources of Australia is working with a government appointed taskforce as it investigates the cause of the acid leach tank failure. Protesters block entrance to Whitehaven’s Maules Creek Mine project (0) December 16, 2013 Protesters have formed a picket line at Whitehaven Coal’s Maules Creek mine development as part of their ongoing fight to stop the project going ahead. Mining a possibility for sacked Holden workers (0) December 13, 2013 The mining industry might be one place sacked Holden workers can look for new jobs but most of them will require significant training to do so. 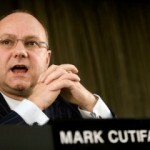 Anglo sees brighter future following turbulent times (0) December 13, 2013 Anglo American says it expects 2014 to be a tough year as it continues to restructure its asset base to meet market conditions. Swick wins MMG drilling contract (5) December 13, 2013 Swick Mining Services has been awarded an underground drilling contract for MMG’s Golden Grove and Rosebery mines. 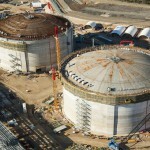 Gorgon running over budget and schedule (0) December 13, 2013 Chevron has once again increased its costings for the Gorgon liquefied natural gas project in Western Australia. Gujarat cuts 90 jobs (0) December 12, 2013 After suffering weeks without pay, Gujarat NRE employees have been served another blow, being told the company will cut 20 per cent of its workforce by January. Charges against Pike River boss dropped, victims’ families furious (0) December 12, 2013 All charges laid against former Pike River mine boss Peter Whittall over the 2010 explosion which killed 29 miners, have been dropped. 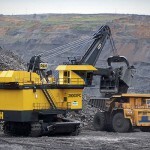 Joy Global sees massive fall in revenues year on year (0) December 12, 2013 Mining machinery manufacturer Joy Global has recorded a hard 2013, reporting drops across the board in its latest operating results. 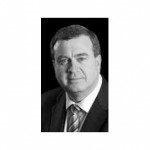 Oz Minerals disappoints investors (0) December 12, 2013 Oz Minerals has capped off a tough year with an investor update which has disappointed the market, sending its share price into free-fall on Wednesday. 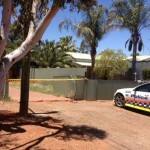 DIY gold extraction plant found in Kalgoorlie backyard (0) December 12, 2013 Police have uncovered a makeshift gold processing plant in the backyard of a Kalgoorlie-Boulder house. 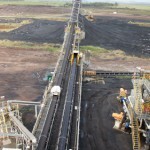 Yancoal’s foreign investment restrictions lifted (0) December 12, 2013 Foreign ownership restrictions are being lifted to allow Chinese owned Yanzhou Coal to increase its share in Queensland-based miner Yancoal Australia from 70 to 100 per cent. 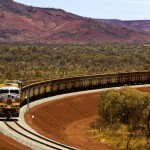 Fortescue looks to sacked Indigenous Gove workers (0) December 12, 2013 Fortescue Metals Group is looking at potentially hiring the sacked Indigenous workers from Rio Tinto’s Gove operations. 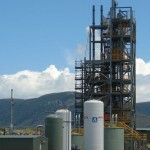 Mt Lyell operations suspended until further notice (0) December 11, 2013 Production remains on hold at Copper Mines of Tasmania’s Mount Lyell operation, following the death of two workers on Monday. Ranger begins acid leak clean-up (0) December 11, 2013 Clean-up operations are well underway at Energy Resources of Australia’s Ranger mine in the Northern Territory following an acidic radioactive slurry spill on Saturday. 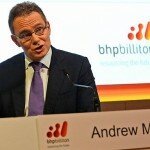 BHP targets further spending cuts (0) December 11, 2013 Diversified miner BHP Billiton has told investors it is planning to reduce expenditure by a quarter, with more cuts to come next financial year. WDS wins massive Eagle Downs coal contract (0) December 11, 2013 WDS has been awarded the $142.8 million Eagles Downs drift construction contract by Aquila Resources. 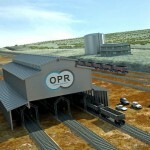 Roy Hill awards contract for resource-to-market simulation and optimisation project (0) December 11, 2013 Project includes a greenfield iron ore mine, mine process plant, heavy haul railway system from mine-to-port and a remote operations centre in Perth. 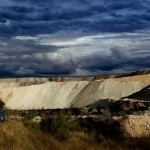 Mine closure a blow for families: CFMEU (0) December 11, 2013 Closing Peabody Energy’s Wilkie Creek mine at Christmas is a blow for workers, families and local communities, the mining union says. 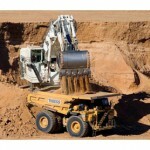 Terex sells trucks arm to Volvo (0) December 10, 2013 Terex Corporation has sold its trucks business to Volvo Construction Equipment for USD $160 million. 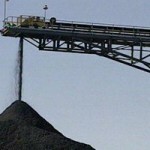 Coal mine closure disappointing: QRC (20) December 10, 2013 Peabody Energy’s decision to close its Wilkie Creek coal mine after Christmas is a disappointing sign of the times, Queensland Resources Council Chief Executive Michael Roche said today. Roy Hill blasting contract awarded (0) December 10, 2013 Western Australian based blasting company Action Drill & Blast has won a six month contract for blast works at the Roy Hill project. 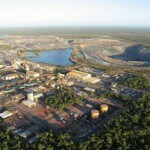 Government orders NT uranium miner to suspend operations (0) December 10, 2013 Uranium miner Energy Resources of Australia has been ordered to suspend all operations after a leach tank ruptured releasing acidic radioactive slurry on Saturday. 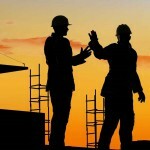 Sedgman win Guyana Goldfields contract (0) December 10, 2013 Sedgman has been appointed as the preferred contractor for Guyana Goldfields’ operations. Double mining fatality investigation continues (0) December 10, 2013 Investigations into the death of two miners at Vedanta’s Tasmanian copper mine will focus on the types of safety gear the men were equipped with. 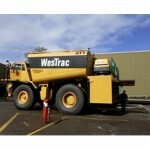 WesTrac to acquire Cat’s north east Chinese businesses (0) December 10, 2013 WesTrac China has announced it will acquire Caterpillar Global Mining’s businesses in Chinese provinces where WesTrac already operates. 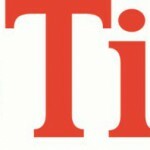 Rio announces new senior management (0) December 10, 2013 Rio Tinto has announced Greg Lilleyman is the new group executive Technology & Innovation. 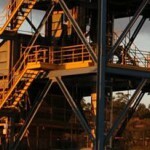 Two men killed at Tasmanian copper mine (36) December 9, 2013 Two men have been killed in a mine shaft accident at Vedanta Resource’s Tasmanian copper mine earlier this morning. BMA’s Hay Point construction works set for Sundays and public holidays (0) December 9, 2013 Securing approval for extended working hours, BHP Billiton Mitsubishi Alliance (BMA) will now be allowed to complete construction work at its Hay Point extension project on Sundays and public holidays. 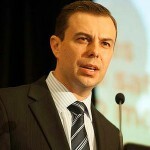 NSW Resources Minister announced (900) December 9, 2013 Member of Lane Cove, Anthony Roberts has been named the new Resources and Energy Minister for New South Wales following the resignation of Chris Hartcher last week. Rio Tinto announces new Centre for Emergent Technologies (0) December 9, 2013 Rio Tinto has opened a new $10.8 million technology centre focused on “the next generation of innovative technologies for the mining industry”. 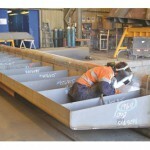 Mining graduate first woman in NSW to earn engineering certificate of competence (0) December 9, 2013 A 23-year-old BHP Billiton employee has become the first woman in NSW to earn an engineering certificate of competence. FMG breaks iron ore shipment record (0) December 9, 2013 Iron ore miner Fortescue Metals Group has set a new record, loading the biggest ever single shipment of iron ore.
Inductees into the International Mining Hall of Fame announced (0) December 9, 2013 The winners of the inaugural global International Mining Technology Hall of Fame have been awarded. 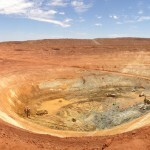 Uranium pollution fears as leach tank ruptures at Ranger mine (0) December 9, 2013 The Ranger uranium mine has been the site of another pollution incident, with a ruptured tank releasing acidic radioactive slurry. 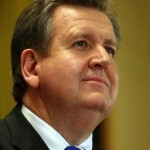 Hooke warns miners not to thin down too much (0) December 6, 2013 In the midst of an industry wide austerity drive, the Minerals Council of Australia boss is warning miners are at risk of making too many cuts. 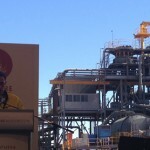 Queensland’s first oil refinery under construction in Gladstone (5) December 6, 2013 The assembly of Queensland’s first oil refinery will start this weekend at Yarwun, with the project representing a $55 million investment by its joint partners. 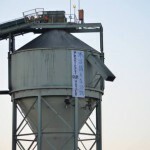 Chinese company launches hostile takeover of Carabella (0) December 6, 2013 Queensland coal miner Carabella Resources on Thursday received an unsolicited bid from a privately owned Chinese based coal company. 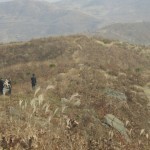 World’s largest single rare earth deposit discovered, in North Korea (0) December 6, 2013 Pacific Century Rare Earth Mineral has announced the discovery of the “the largest, single rare earth elements target in the world”, in North Korea. 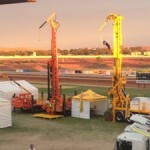 Pit wall collapse at WA gold mine (0) December 6, 2013 A pit wall collapse at Ramelius Resources’ Western Queen South gold mine has forced the company into its second trading halt in less than a month. 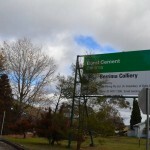 Court to scrutinise Berrima Colliery expansion rejection (0) December 6, 2013 Boral has won the right to appeal a court decision which rejected the expansion of its Berrima Colliery, a move which resulted in 30 job losses. 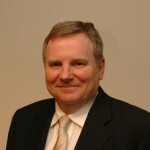 Kingsgate CEO collapses at Sydney Mining Club presentation (0) December 5, 2013 Kingsgate Consolidated CEO Gavin Thomas has collapsed during his presentation to the Sydney Mining Club today. 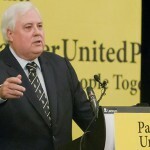 Petition launched to return Aussie gold (0) December 5, 2013 A petition has been launched in an effort to repatriate Australia’s gold reserves. 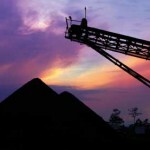 Cokal fields $US150 million funding offer for coal project (0) December 5, 2013 Brisbane-based coal company Cokal has received a conditional proposal for a $US150 million debt finance facility to fund an Indonesian coal project. 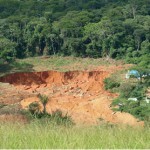 Three miners killed at Barrick’s PNG gold mine (0) December 5, 2013 At least three miners have been killed after a confrontation broke out at the Porgera gold mine in Papua New Guinea. Contractor killed at Telfer gold mine (873) December 5, 2013 A contract miner has been killed whilst working on Newcrest Mining’s Telfer gold mine’s tailings dam. 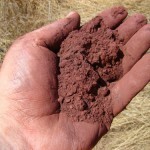 Atlas Iron inks improved sales contracts for 2014 (0) December 4, 2013 Atlas Iron has announced the signing of new supply contracts on improved terms, reflecting the strength of the iron ore market. 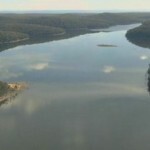 NSW resources minister resigns amid ICAC raid (0) December 4, 2013 The New South Wales Resources Minister Chris Hartcher has resigned as the corruption watchdog raids his parliamentary office. Shell floats massive FLNG Prelude hull [Pictures] (0) December 4, 2013 Shell has floated the 488-metre-long hull of its Prelude FLNG facility out of the dry dock in Geoje, South Korea, where it is being built. 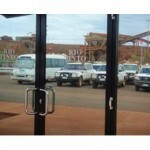 Rio Tinto fined for failing to minimise visible dust (0) December 4, 2013 Rio Tinto’s Bengalla mine in the Hunter Valley has been fined for failing to minimise dust emissions after various warnings from the Planning Department. 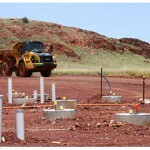 Construction starts at SA uranium mine (0) December 4, 2013 Construction has started at the Four Mile uranium project in South Australia, despite one joint venture partner voting against the action. 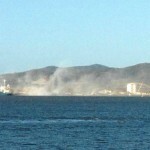 MACS Engineering shuts, 76 lose their jobs (0) December 4, 2013 Mackay engineering company and manufacturer MACS Engineering went into voluntary administration yesterday and 76 workers lost their jobs. 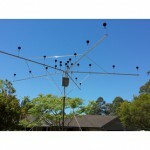 Keech recognised in the Top Ten for BRW Top 50 innovative companies list (0) December 3, 2013 Bendigo design and manufacturing company Keech Australia is placed 7th in the prestigious BRW Top 50 Innovative Companies List. 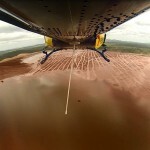 Cape Alumina say mining ban is bad for foreign investment (0) December 3, 2013 Cape Alumina says the decision to ban mining over the Steve Irwin Wildlife Reserve has alienated foreign investors from China, Korea and Japan. 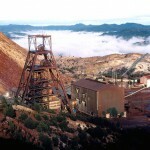 Rio Tinto flags a further 20 per cent cut in spending (0) December 3, 2013 Rio Tinto has revealed 3800 jobs have been shed across its business since June 2012 as the company says it is making tough decisions to deliver greater value to shareholders. Chip oil used to make cleaning products in the Pilbara (0) December 3, 2013 A Pilbara-based company that recycles cooking oil from mining camps to make biofuel will now develop cleaning products from glycerol. 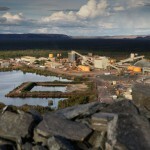 Greens claim Rio forced employees to post positive expansion submissions (0) December 3, 2013 Greens MP David Shoebridge has accused Rio Tinto of forcing its employees to post positive responses for its public submission for its mine expansion. 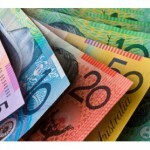 Find out what QLD’s resources are worth to your community (0) December 3, 2013 Live in Queensland? Type in your postcode and see how mining contributes to your local area in a newly updated website by the Queensland Resources Council. China launches rocket to search for moon metals (0) December 3, 2013 China has launched a rocket to the moon with aims to search for natural resources. 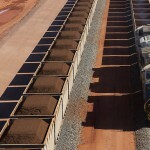 CITIC’s Sino Iron project ships first concentrate to China (0) December 3, 2013 After four years of delays and billions of dollars of budget blowouts CITIC Pacific has celebrated its first shipment of magnetite concentrate from its Sino Iron project in the Pilbara. 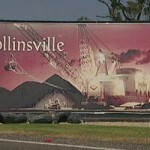 Rockhampton looking to attract more mining business (0) December 2, 2013 Rockhampton Council wants a piece of the mining boom pie, telling resource companies it is open and willing for business. 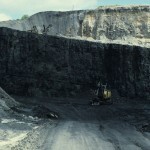 Whitehaven Coal granted breathing space on $1.2 billion debt (0) December 2, 2013 Whitehaven Coal has been granted approval to amend its $1.2 billion debt facility due to delays in the development of its Maules Creek mine project. Conference hears racism is rife in mining (0) December 2, 2013 Chair of WA’s Indigenous Women in Mining Council said racism is rife throughout the resource sector, and has seen many Aboriginal employees walk off the job. Traumatised workers receive counselling following contractor fatality (0) December 2, 2013 Counselling efforts are continuing at GlencoreXstrata’s Ravensworth open cut mine following a fatal accident on site over the weekend. Former Gujarat chairman pocketed 53% pay increase and then failed to pay workers (0) December 2, 2013 Despite failing to pay workers’ wages and superannuation, Gujarat NRE’s former chairman received a 53% year-on-year rise in his base salary to $1.02 million in 2013. 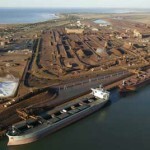 Closing Gove, Rio will destroy the region: AWU (0) December 2, 2013 Rio Tinto’s decision to shut its Gove alumina refinery in the Northern Territory will destroy the region, the Australian Workers union says. 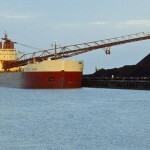 Another miner dies at Indonesian Freeport mine (0) December 2, 2013 Another worker has died and one is critically injured after an accident at the Freeport McMoran Grasberg mine in Indonesia. 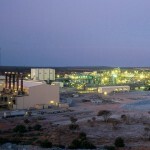 Orica plans to make more ammonium nitrate (0) December 2, 2013 Explosives and chemicals supplier Orica plans to increase production of ammonium nitrate at its Kooragang Island site by 70,000 tonnes. 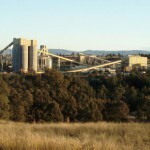 Rio sees overwhelming positive submission response to Mt Thorley Warkworth expansion (0) December 2, 2013 Rio Tinto has seen a massively positive response from the local community to its planned mine expansion. 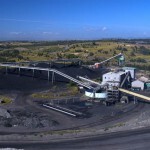 Female contractor killed at Ravensworth coal mine (833) December 2, 2013 A female contractor has been killed in an accident on Saturday night at GlencoreXstrata’s Ravensworth open cut coal mine in the Hunter Valley, New South Wales. 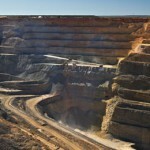 Gold production rises, price slide remains (0) December 2, 2013 Cost cutting and a move to higher grade ores has seen Australia’s quarterly gold production rise 4 per cent to 69.5 tonnes. Gujarat receives a further $58m boost from Jindal (0) November 29, 2013 Jindal Steel has increased its stake in Gujarat NRE after investing a further $58 million into the company, adding a further 726 million shares its portfolio. Rio shuts Gove refinery (48) November 29, 2013 Rio Tinto has announced it is stopping production at its Gove alumina refinery in the Northern Territory, determining the operation is unviable in the current economic climate. 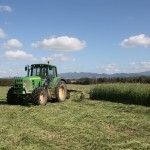 WesTrac sacks 60 apprentices, union claims 457 workers stay on (0) November 29, 2013 Amongst the hundreds of job cuts WesTrac has made this month, the Australian Manufacturing Workers union says dozens of first and second year apprentices have lost their jobs. 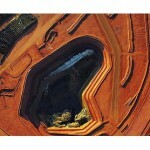 Rio approves $400m spend, boosting iron ore production (0) November 29, 2013 Mining major Rio Tinto has announced it is spending $400 million to expand its iron ore production capacity to 360 million tonnes a year by 2017. 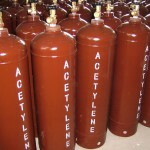 Decmil win Roy Hill infrastructure contract (4) November 29, 2013 Decmil has won a contract for the construction of the diesel fuel infrastructure at Roy Hill. 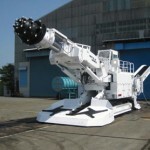 Chinese buy Aker Wirth Mining (0) November 29, 2013 German firm Aker Solutions has sold its tunnel and shaft boring technology to China Railway Tunnelling Equipment. 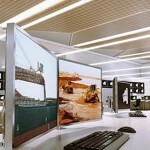 Clariant Mining Solutions opens new mining research centre in Brazil (0) November 28, 2013 Clariant announces the opening of a new state-of-the-art applied research centre in Brazil. 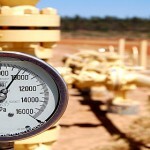 Origin announces gas supply deal with QCLNG owner BG Group (0) November 28, 2013 Origin Energy has inked a deal with BG Group’s Curtis Island LNG project which will see the company deliver 30 petajoules of gas over two years. 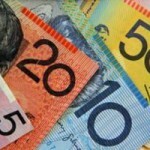 Australia less competitive on global stage: Shell (0) November 28, 2013 Shell has again flagged that the high cost of doing business in Australia is affecting the nation’s competitiveness, urging the federal government to step in. 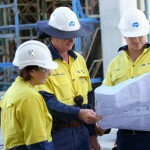 Decline in construction, growth in production, BREE report says (0) November 28, 2013 Australia’s resources sector is transitioning out of a period of high capital investment and into a production phase as new projects ramp up. 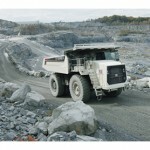 700 contractor positions to go at Ernest Henry mine (0) November 28, 2013 Around 700 contractor positions will come to an end at GlencoreXstrata’s Ernest Henry operations as it shifts from a construction phase into production. 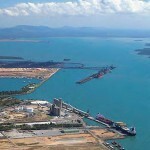 Record tonnages for Queensland’s coal ports (0) November 28, 2013 Good weather and a ramp up in production has seen a record amount of coal exported through Queensland ports. Zeppelins and airships: Mining’s transportation of the future? (0) November 28, 2013 As heavy mining equipment logistics costs rise, some miners are turning to unique machinery haulage techniques to move machinery faster, cheaper. 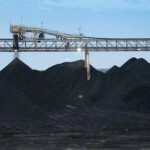 New Central Queensland coal mine to create 100 jobs (0) November 28, 2013 A new coal mine in Central Queensland will create more than 100 local jobs as Carabella Resources pushes ahead with plans to go from explorer to producer. 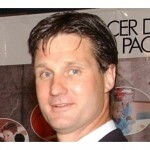 Former UCL head pleads guilty to insider trading (0) November 28, 2013 The former chief executive of UCL Resources, Christopher Jordinson, has pled guilty to insider trading. 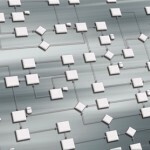 Implementing process safety starts in the Boardroom (0) November 28, 2013 Boards who do not focus on process safety are potentially taking a gamble with the survival of their business. Anglo American serves eviction notice, local post office forced out (0) November 27, 2013 Anglo American has served an eviction order on the local post office in Middlemount, Queensland. $78 million worth of funding available for mining-affected communities (0) November 27, 2013 A further round of funding for the Resource for Regions Program is open, with $78 million up for grabs for communities affected by mining. The next generation of DCS for mining (0) November 27, 2013 Schneider Electric’s Vin Kandoi explains the current challenges and the future for distributed control systems in mining. 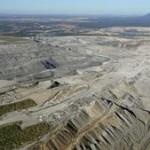 Minerals Council slams NSW planning amendments as ‘job-destroying’ (0) November 27, 2013 Amendments to the New South Wales planning bill due to be introduced to parliament today will threaten mining jobs and the economy, the state’s peak mining group says. 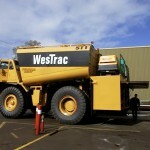 WesTrac starts to sack Perth workers (0) November 27, 2013 Heavy machinery services company WesTrac has started the process of sacking workers from its Perth operations. 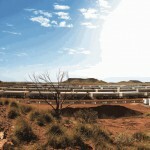 New Hope clears out Dart Energy board (0) November 27, 2013 Announcing it has lost confidence in the Dart Energy board, shareholder New Hope Corporation has appointed a new board to lead the coal seam gas explorer. 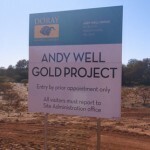 Doray Minerals opens new Andy Well gold mine (0) November 27, 2013 Doray Minerals has officially opened its new gold mine, the Andy Well project, in WA’s northern Murchinson region. 50 jobs go as oil shale pilot plant closes (0) November 27, 2013 Around 50 workers will be axed from Gladstone’s oil shale demonstration facility as the plant goes into care and maintenance. Alumina CEO John Bevan retires (1) November 27, 2013 Alumina CEO John Bevan has announced he will retire at the end of the year. 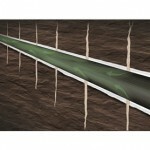 ELF II increases data throughput speed by three times for mining operations (0) November 27, 2013 Software-defined communications infrastructure provides high speed data throughput for underground mines. 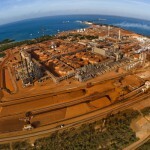 Rio says it won’t turn on the gas at Gove (0) November 27, 2013 Rio Tinto’s struggling alumina refinery in the Northern Territory is a step closer to closing after the miner confirmed it will not be converting it to gas. J Smith & Sons packs it in after 113 years (0) November 27, 2013 The 113-year-old Gympie-based J Smith & Sons has told its workers that the company will enter voluntary liquidation. 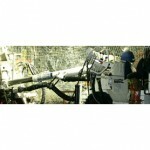 Austin Engineering win another Chilean mining contract (0) November 26, 2013 Austin Engineering have won another major mining maintenance contract in Chile. Sydney Uni developing rock fracture new models to improve mining safety (0) November 26, 2013 Researchers at the University of Sydney are creating new mathematical models that could help in reducing rock fracturing and soil liquefaction. 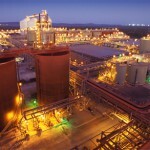 1500 jobs on the line as Rio decides on Gove (0) November 26, 2013 The future of Rio Tinto’s Gove alumina refinery in the Northern Territory is expected to be decided as early as this week. 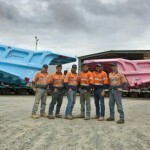 Giant dump truck trays painted pink and blue for cancer awareness (0) November 26, 2013 Two 797 rear dump truck trays in Central Queensland have been painted blue and pink to raise awareness for Prostate and Breast Cancer. 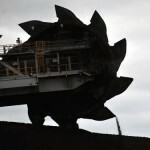 Doubts Adani can develop Galilee Basin coal mine slammed by industry (0) November 26, 2013 A report commissioned by Greenpeace into the viability of Adani’s position to develop the Galilee Basin coal fields has been slammed by the mining industry. 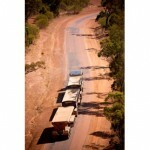 Bis Industries acquires Powertrans (0) November 26, 2013 Mining logistics firm Bis Industries has acquired mining haulage manufacturer Powertrans. 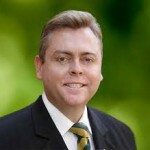 Woodside exec named new WesTrac boss (0) November 26, 2013 Seven Group Holdings has announced it is appointing a new chief executive for its subsidiary WesTrac Australia. 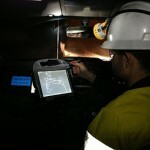 Intellect Systems win service agreement for Sandfire Resources (0) November 25, 2013 Intellect Systems has won a one year service agreement with Sandfire Resources for its DeGrussa mine. 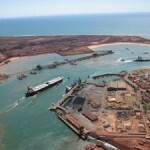 BHP approves $300m spend, lifting shiploading capacity (0) November 25, 2013 Opening its coffers, BHP Billiton is spending $US301 million to replace two shiploaders at its Nelson Point port operations in Port Hedland, Western Australia. 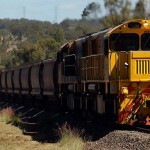 WA’s lack of infrastructure crippling Mid West development (0) November 25, 2013 A lack of port and rail infrastructure in WA’s Mid West is hamstringing the development of iron ore assets in the region, one investor has warned. 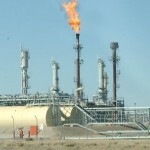 LNG spot price to rise as demand from China’s cold cities grows (0) November 25, 2013 Analysts predict winter gas shortages in northern China will continue until 2020, leading to increased demand for LNG and higher spot prices. 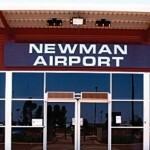 Hot weather shuts Newman airport, delays official BHP mine opening (0) November 25, 2013 Hot conditions are affecting the condition of Newman airport’s runway, forcing the airport to shut. Newcrest cuts jobs at WA gold mine (0) November 25, 2013 More jobs will be axed from Newcrest’s Telfer gold mine in Western Australia next week as the miner continues its attempt to rein in costs. 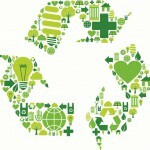 Conference to discuss opportunities for green mining (0) November 25, 2013 The sixth International Symposium on Green Mining has kicked off in Wollongong today, with international researchers and engineers gathering to discuss opportunities in the sector. 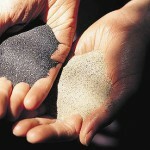 More hard times for mineral sands sector (0) November 25, 2013 Mineral sand miners have been warned to prepare for a price plunge as demand continues to slide. Berrima Colliery workers leave pit for last time (0) November 25, 2013 Workers at Boral’s Berrima Colliery have left the pit for the last time as the mine goes into care and maintenance, shedding 40 jobs. 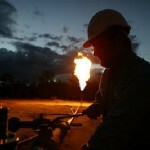 High costs threaten to stall LNG plant investment (0) November 22, 2013 Arrow Energy’s $20 billion plan for an LNG plant on Curtis Island could be halted as its parent company Shell balks at Australia’s increasingly high development costs. 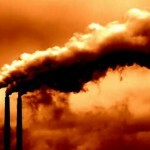 Rio Tinto and BHP among world’s top greenhouse gas emitters: report (0) November 22, 2013 New research suggests nearly two-thirds of global greenhouse emissions generated since the start of the industrial revolution has been caused by just 90 companies including BHP and Rio Tinto. 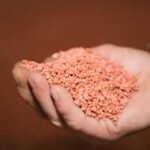 BHP looks towards potash play (0) November 22, 2013 Major miner BHP Billiton is spruiking the importance of potash in the company’s future, labelling it a possible “fifth pillar” in its diversified portfolio. 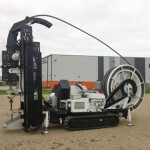 New world first prototype drill rig launched today (0) November 21, 2013 The prototype of the world’s first coiled tubing drill rig (CT Rig) for exploration has been launched in the Adelaide Hills today. BHP still banking on China (0) November 21, 2013 Australia is well placed to supply China’s insatiable demand for commodities, BHP Billiton chairman Jac Nasser today told investors. 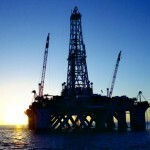 WorleyParsons dives on downgrade (0) November 21, 2013 Downgrading its full year profit guidance, engineering company WorleyParsons saw its shares plummet today. Second uranium pollution scare angers Traditional Owners (0) November 21, 2013 A second safety breach in less than a month from the Ranger uranium mine in the Northern Territory has angered Traditional owners of Kakadu National Park. 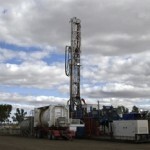 NSW government says CSG amendments are a win-win (0) November 21, 2013 The NSW government claims its proposed amendments to coal seam gas laws will strengthen landholder rights and improve environmental regulation. 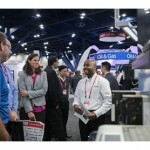 Engineering professionals convene in Texas for Automation Fair (0) November 21, 2013 Rockwell Automation event brings together industry leaders showcasing solutions that enable a connected enterprise. 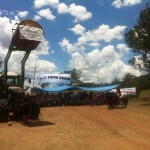 Whitehaven says Maules Creek mine protests funded by foreigners, not locals (0) November 21, 2013 Whitehaven Coal CEO says one of the biggest frustrations around developing the Maules Creek mine project has been activism from international activists and not just concerned locals. 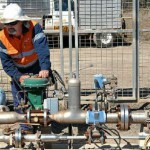 Arrow Energy warns of job losses if CSG ban passes (0) November 21, 2013 Arrow Energy said a large portion of its 1300 staff would be lost if legislation to ban coal seam gas activity from prime agricultural land in Queensland passes. 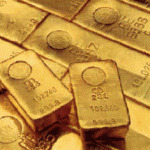 Gold slumps to four month low (0) November 21, 2013 Gold took a hit overnight, sliding to a four month low to trade at $US1242.80. Cobar mine cuts 47 jobs (0) November 21, 2013 Redundancies are being finalised at New Gold’s Peak mine in Cobar with 47 workers being laid off in the coming weeks. 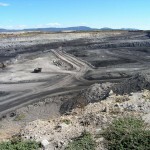 Thiess wins extra $550 million for Lake Vermont coal mine contract (0) November 20, 2013 Thiess have won an additional $550 million contract at the Lake Vermont Coal mine,near Dysart in Central Queensland. 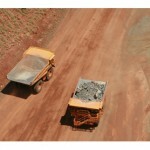 Southern Hemisphere expands Lundin alliance (0) November 20, 2013 Expanding its existing strategic alliance, Southern Hemisphere Mining has executed a new joint venture agreement with Lundin Mining to secure two new copper-gold projects in central Chile. 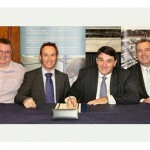 Thiess signs JV to add continuous mining services to its repertoire (0) November 20, 2013 Looking to deliver low cost, high volume continuous mining solutions contractor Thiess and European power generators and lignite miners RWE Generation are joining forces, signing a joint venture agreement. 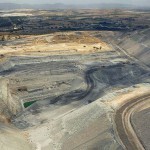 Environment group slams Gujarat mine expansion (0) November 20, 2013 A proposed coal mine expansion by Gujarat NRE has been slammed by an environmentalist group which claim it poses a major threat to the water catchment area. 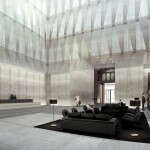 BHP opens new global head office (0) November 20, 2013 BHP Billiton has officially opened its new global head office, down the road from its previous office. 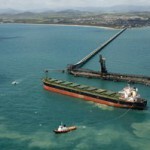 Mining goes head-to-head with greens groups to tell its story (0) November 20, 2013 Hitting back at greens groups, Queensland’s peak mining body is launching a media campaign promoting the importance of port capacity adjacent to the Great Barrier Reef. 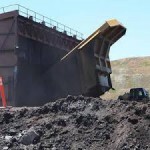 Rio Tinto and Glencore in stoush over mine expansion plans (0) November 20, 2013 A turf war between Rio Tinto and Glencore is playing out in the Hunter Valley as Rio lodges an objection to a mine expansion by its neighbour. 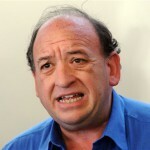 Papua New Guinean Government hires RMG to help develop its resources (0) November 20, 2013 Papua New Guinea has hired the Raw Materials Group has advisers to develop its nation’s natural resources. 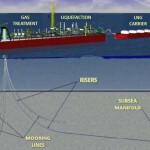 Exxon and BHP gain approval for Scarborough floating LNG (853) November 20, 2013 BHP and ExxonMobil have been granted Federal approval for a massive floating LNG plant off the West Australian coast near Exmouth, a project worth $10 billion. 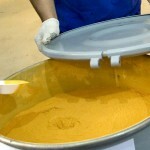 Rio sells down stake in aluminium manufacturer (0) November 20, 2013 Rio Tinto has sold off the majority of its stake in aluminium products maker Constellium NV for about $330 million. 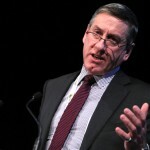 Stop subsidising car makers, says FMG chief (0) November 20, 2013 Fortescue Metals Group’s CEO Nev Power has told a business event that subsidies to auto makers needed to end. 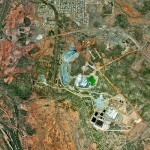 Samsung focuses on rare earth materials (0) November 20, 2013 Samsung is researching alternatives to rare earth materials, which are required to manufacture smartphones and televisions. 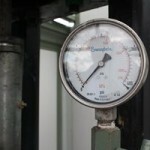 ABB wins $33m service contract with QGC (0) November 20, 2013 ABB has signed a long term service agreement with QGC for maintenance at its Curtis Island LNG project. 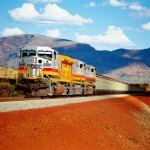 Rio offloads two QLD exploration licences (0) November 20, 2013 Mining major Rio Tinto has sold off two coal exploration licences in Queensland to explorer Mozambi Coal. 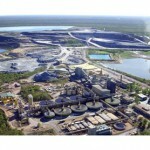 AMEC wins $20m Roy Hill contract (0) November 20, 2013 AMEC has won a detailed design and engineering contract for the Roy Hill mine’s bulk ore handling facility. AGL grows crops with water from CSG wells (0) November 20, 2013 Gas company AGL reports it is successfully growing crops using blended water from coal seam gas wells outside of Gloucester in New South Wales. 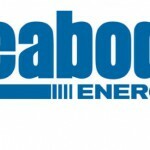 CFMEU and Peabody strike pay deal for Helensburgh mine workers (0) November 19, 2013 Employees at Peabody’s Helensburgh mine will return to work tonight after the company and the CFMEU reached an in principal agreement around a new pay deal. Jobs go at Rio’s Hunter Valley Operations (0) November 19, 2013 Rio Tinto subsidiary Coal & Allied is set to shed jobs at its Hunter Valley Operations, with 30 roles from its workshop and warehouse on the chopping block. 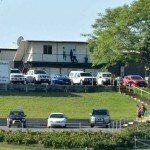 Gas leak on Rio’s Weipa site, workers evacuated (0) November 19, 2013 Workers have been evacuated from Rio Tinto Alcan’s Weipa bauxite operation this morning, after a gas leak was identified. 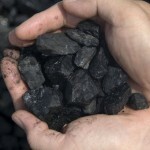 UN tells coal sector to leave reserves in the ground (0) November 19, 2013 The United Nation’s top climate change official is calling on the coal industry to look past next quarter’s bottom line and see the next generation’s bottom line. 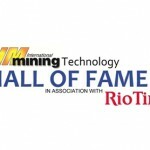 RungePincockMinarco launches new mine scheduling software (0) November 19, 2013 RPM has released the latest version of XACT, its short term mine scheduling application. Over 500 jobs disappear from Rio’s Argyle mine in 12 months (0) November 19, 2013 It is understood more jobs have been cut at Rio Tinto’s Argyle diamond mine in Western Australia. 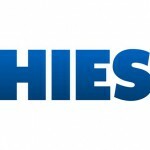 Thiess cuts 40 regional jobs (0) November 19, 2013 Mining contractor Thiess will cut 40 jobs when it shuts two regional offices in December. Glencore donates $2m to Typhoon Haiyan recovery efforts (0) November 18, 2013 Mining giant Glencore is donating $US2 million to help relief efforts after Typhoon Haiyan swept through the Philippines causing mass devastation.